Pop Clouds presents their Cherry nic salt, delicious cherry candy flavor jam-packed into a 30ml bottle. Pop Clouds nicotine salt formulation adds an extra level of satisfaction to every hit, with no burning or coughing. 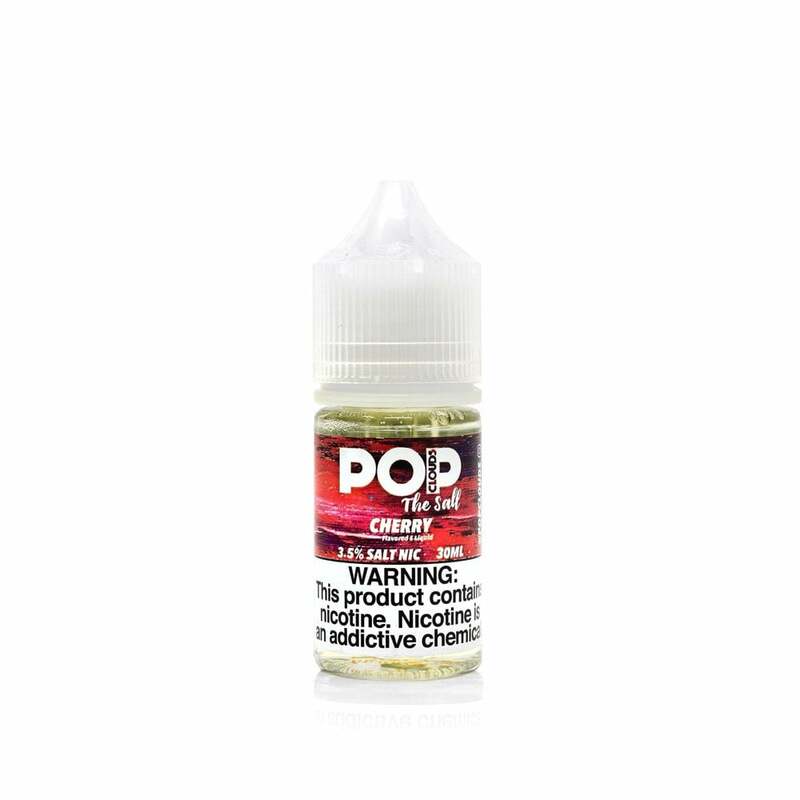 Pop Clouds Cherry nic salt is available in 50mg (5.0% nicotine) and 35mg (3.5% nicotine). I honestly can't believe this got such a bad review, when I switched from cigs, to juul, ot actual ejuice I bought like 20 flavors. This cherry flavor and their banana flavor are the only ones keep buying constantly. I even started using this site because they sold these flavors. To each their own I guess, I just wish they would make a coconut flavor. This tasted like plastic... it was the worst juice I have tasted. I was very disappointed.